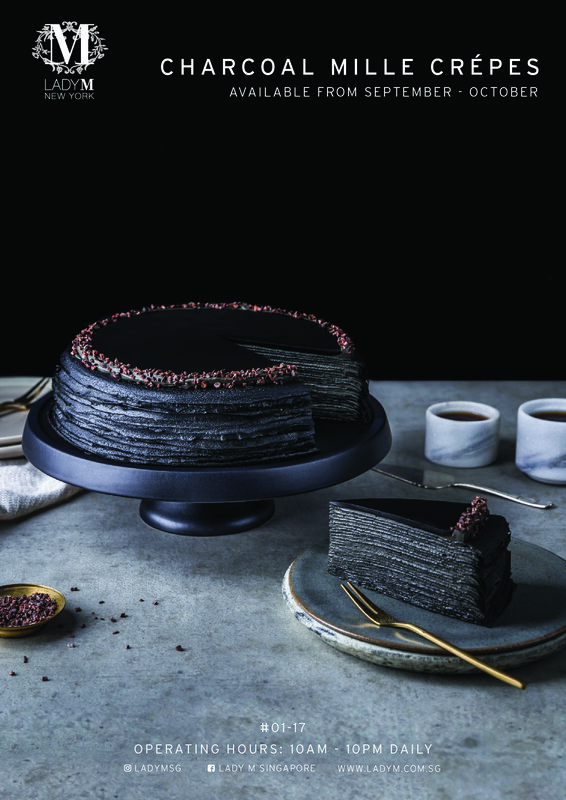 Welcoming the first ever “All-Black” cake in the history of Lady M® New York this September — the Charcoal Mille Crêpes! Bamboo charcoal-infused handmade crêpes layered with a flavoured pastry cream, topped with buttery black glaze and garnished with crunchy cacao nibs. Experience this mystery-flavoured Mille Crêpes through the scenting diffuser located in-store before indulging in a slice.